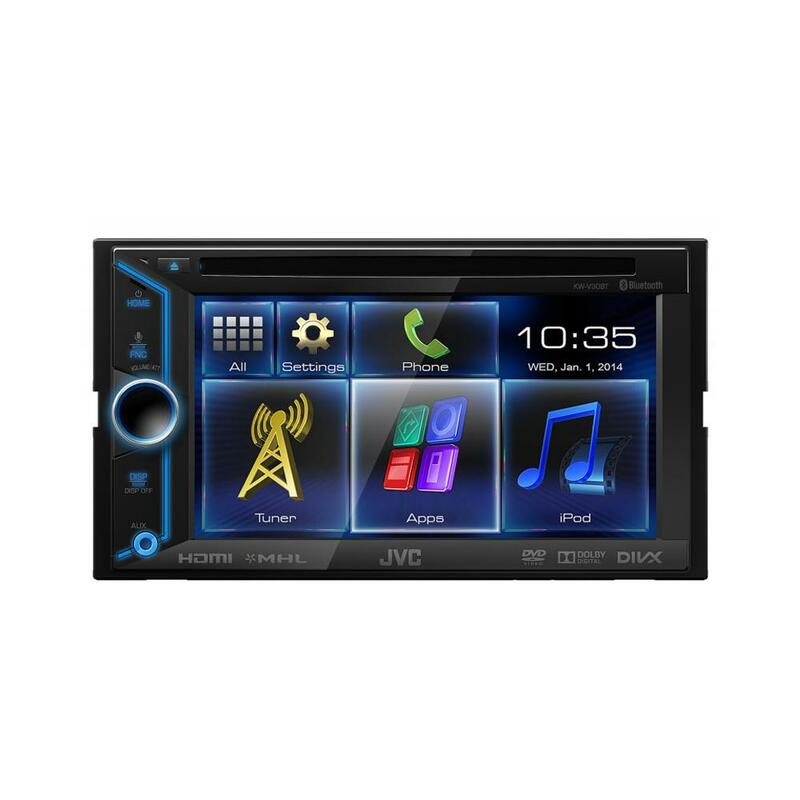 The KW-V30BT is a 6.1' Touch Screen Monitor Bluetooth/DVD/USB Multimedia Receiver system. Using optional cables, the diverse system can display most apps from connected MHL enabled Android smart phones, iPhone 5 devices, and up to 20 apps for iPhone 4 and 4s devices ranging from Navigation, to Driving, to Music Streaming Services. Compatible iPhone 4 and 4s apps can be controlled as well. The receiver has also Built-In Bluetooth Wireless Technology. Brought this unit along with a sub amp's and speakers 3 weeks ago. Just went back to the Leicester store to have it set up, It sounds Phat. The head unit gives great control that is easy to adjust as it has 7 preset EQ's along with 3 band parametric EQ. I brought the MHL cable and the mirror link works great with my Android phone. Had high hopes for this unit however my disappointment has grown daily as I discover that fewer and fewer apps actually work with the unit. Only Waze works fully with touchscreen input on the unit, the display quality isn't great which makes the app difficult to use. Some apps work with the external screen however there is no touch input so it is purely screen mirroring. GPS Drive does not work, the screen shows a blank map. Also annoying is the fact that upon pairing with a BT device (iPhone in this case) music immediately starts playing even if you are listening to the radio. The on-screen phone controls are small which makes it dangerous to use while driving, at least the Siri hands-free part works (sometimes). All-in-all I wouldn't recommend this unit, hopefully some firmware updates will improve functionality otherwise I'd be tempted to sell and buy a Pioneer unit. Hi would this fit my Audi a4 with just basic MMI. No satnav+ etc just a ten speaker active boss system with the Panasonic head unit and amp in boot over passenger back wheel. Good afternoon as its a MMI please call or visit your local car audio centre store to have your system checked over and fitting costs. you require a steering wheel control adapter, fascia, antenna and kenwood lead. Would this fit in my freelander 2? Hi, I have Polo 2003 will this unit fit for my car. Thank you. There is no fascia adapter for your year of Polo, the KW-V30BT may be a straight fit but we would need to see your vehicle at one of our stores. yes it will fit into your 2010 audi a3 you will require the following parts to install it. Would this head unit fit in my car and what other parts would I need? Yes the KW-V30BT would fit your mk4 golf. You would need a booster/aerial adapter for your radio. We have listed this below for you. Hello, will this unit fit my Vauxhall Corsa D (57 reg)? Will it also require extras to be purchased in order for it to be compatible with the steering wheel controls? This cane be installed in your Corsa. You will need the following parts. Id like to fit this stereo into my 2005 Honda Civic EP3 Type R. Can you please state what else i would need? e.g. fascia and connection adaptors? You will need the following parts for your Honda Civic. Do i need to buy anything else with this to ensure it all fits and that. 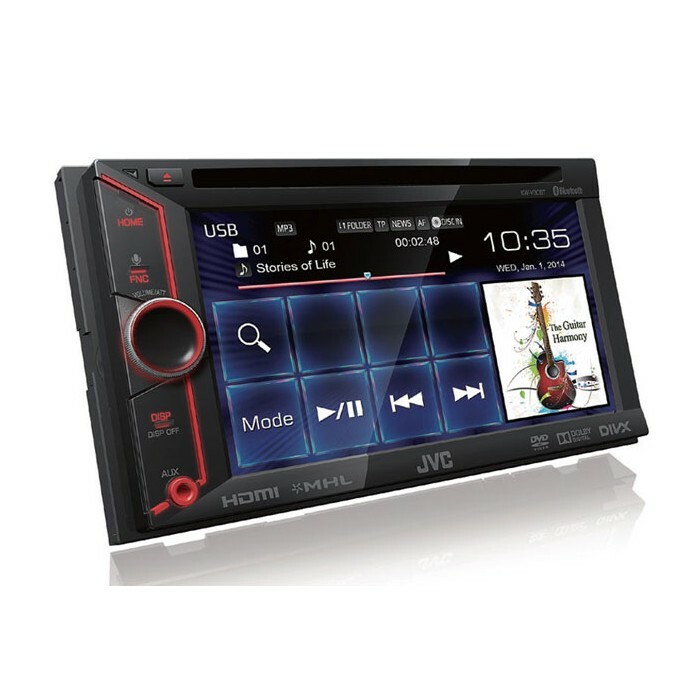 JVC KW-V30BT can be installed in your Peugeot 307. You will need the following parts. Steering control interface is also listed. What else will i need to fit this to a Vectra C 2007 Facelift model, also would like the steering wheel controls to continue to work aswell.